Thanks to natural beauties like actress Kiera Knightly and supermodel Cara Delevingne, big brows are officially back. Forget the permanently surprised look of the 90s; 2013 is all about those Cleopatra brows – dark, thick and powerful. It’s time to reintroduce brow tools into your morning make-up regime, so make sure you reserve an extra three minutes before the coffee dash. Marie Claire’s ‘buy of the day’ is Eyeko Brow Gel, boasting a ‘nano-brush’ (a small easy-to-use mascara brush) and a botanically-enriched formula with keratin protein designed to condition and plump each individual hair. You can buy Eyeko Brow Gel for £18. This brow gel from MAC gives you more for your money. It quadruples-up as a lash separator, sideburn groomer and, for men trying to cultivate a worthy moustache, a facial hair shaper – as well as an eyebrow gel. comes in three different shades – clear (subtle), beguile (less subtle) and show-off (not at all subtle). You can buy MAC Brow Set for £12.50. 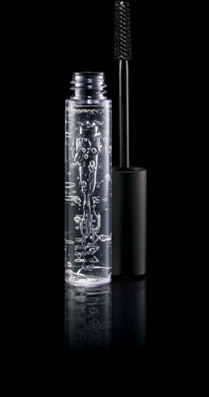 For those on a really tight budget, we suggest No7 Lash and Brow Perfector. This product is ultra soft and caring, giving your lashes and brows a good conditioning whilst whipping any unruly hairs into shape. You can buy No7 Lash and Brow Perfector for £8.50.